Note: This post may contains affiliate links. That means that if you click on them and buy anything at all, I'll get a small commission from the sale (at no additional cost to you). For more information, read my disclosure policy. You know when it’s 40 degrees, there’s slush on the ground, and it’s raining? Do you know what makes that awful kind of day worse? Feet that are wet and cold! Isn’t that the worst?! Here in cold Ohio, “bean boots” aka “duck boots” are a popular solution to that problem. They’re warm, waterproof, and in style. A friend asked me to look into whether there were any cheaper alternatives to L.L. Bean duck boots. Bean boots are nice, but they’re crazy expensive! The original L.L. 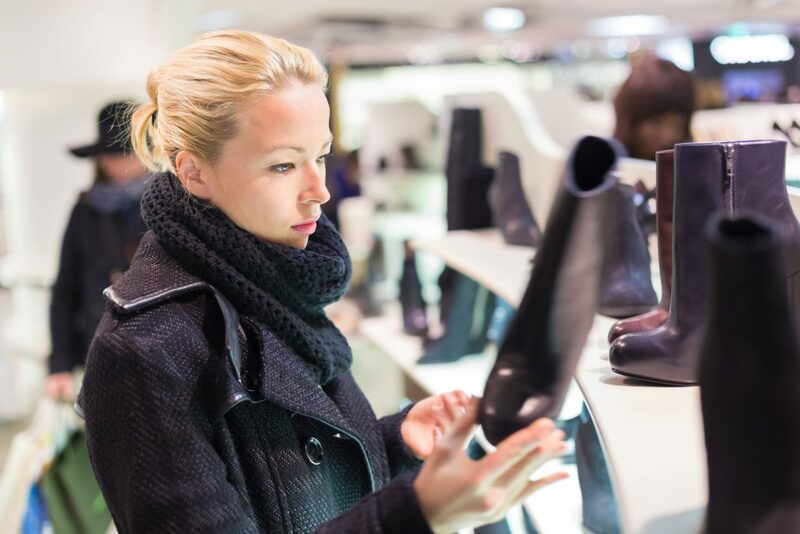 Bean duck boots have also been popular because of their amazing lifetime return policy, but unfortunately, the L.L. Bean lifetime return policy was discontinued this year. These are not bean boot dupes of bean boot knock-offs. They’re just other brands of the duck style of boots. None of these are really very cheap duck boots, but they’re certainly less expensive than the $150 regular price for L.L. Bean boots. These boots are about the same price as the L.L. Bean version regularly, but many sizes and colors are much cheaper (less than half the price). This version of the Sorel boots has a felt wool collar and comes in more colors. Sperry Saltwater boots are one of the most common alternatives to bean boots. These 206 Collective duck boots are an Amazon Prime exclusive offering. The reviews are good and, depending on the current price, might be a great deal for a good quality pair of boots. These Tommy Hilfiger boots are a good price for a quality boot. They’re also the only well-reviewed one that I could find that is not leather, making them vegan-friendly. Are you looking for other great cheaper shoes? You might like some other ideas for cheaper alternatives. Check out my posts about cheaper alternatives to Tieks & Rothy’s ballet flats and cheaper alternatives to Sperry boat shoes! 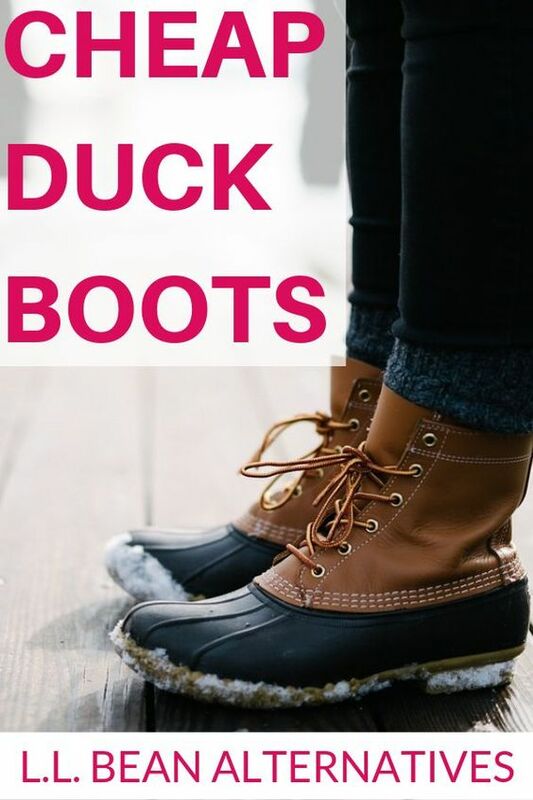 Have you tried any of these cheap duck boots? What did you think? I’d love to hear your comments below!